Why do You Need Blu-ray Anyway? One very simple answer to that question – Because it’s official now! The good old HD-DVD format has been officially discontinued now, and Blu-ray has become the only format you’ll be able to watch your favorite new movie on. Although the DVD format will continue in the secondary market for the classics, but new movies, music albums and video games will only be available in Blu-ray. 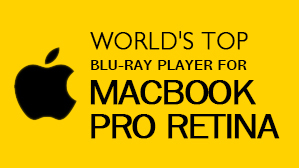 Following this official decision most people have switched to Blu-ray players, but unfortunately, Mac users were deprived of this privilege up till now. Macgo Inc. has finally ended their misery as they have launched the world's very first Mac Blu-ray player. 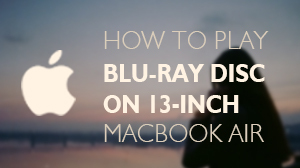 It's big news for all Mac users who have been thinking about switching the platform just to enjoy Blu-ray. There are many reasons why Blu-ray won the format war. These are the reasons which Toshiba and the alliance of DVD Forum learned in time and decided to adopt this format as a standard. So, what exactly are these reasons? Let’s find out! This is where it all begins. Most qualities of Blu-ray are rooted in its large storage capacity. Blu-ray can store up to 50 GB of data while DVD was only good for 8GB. This allows large high definition data to be written on the disk without having any need to compress that data. However, the technology is still considered new and many claim that a double layer DVD is almost as good as a Bluray, but there is definitely more scope for improvement in the latter format than the former one. People have fallen in love with this format due to its superior image quality. If you watch a 3D or animated movie in Blu-ray you can easily tell the difference in the kind of definition you will get. Clear strands of hair and visible wrinkles on the clothes, all the hard work of the team behind the project really pays off. All this is possible because larger storage allows Blu-ray to use a maximum resolution of 1920x1080 against DVD’s 720x480. Also, better compression methods used for this format allow for better contrast and color. Audio codecs for Blu-ray are not just limited to Dolby digital and DTS. 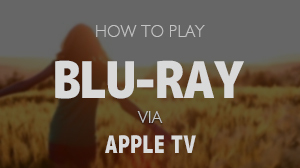 If you like the way HD-DVDs sound, you will love Blu-ray. Additional codecs supported in Blu-ray include Dolby Digital Plus, Dolby TrueHD, DTS HD High resolution, DTS HD Master Audio and Linear PCM. Most of these formats use lossless data compression and support higher bit rate and more channels. Blu-ray offers many lovable additional features including pop-up menus which can be accessible while the movie keeps playing. 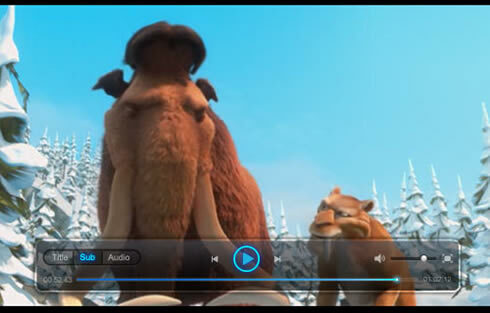 Picture-in-picture video commentary is also available, but for most of these features, you must have a Blu-ray player with the right profile.